The biggest celebration of global football, the FIFA World Cup is just kicking off. Millions will root for their national teams to win the ultimate prize — being crowned the World Cup Champions. Russia hosts the month long tournament this year, in which 32 nations, including debutant nations Iceland and Panama will compete. 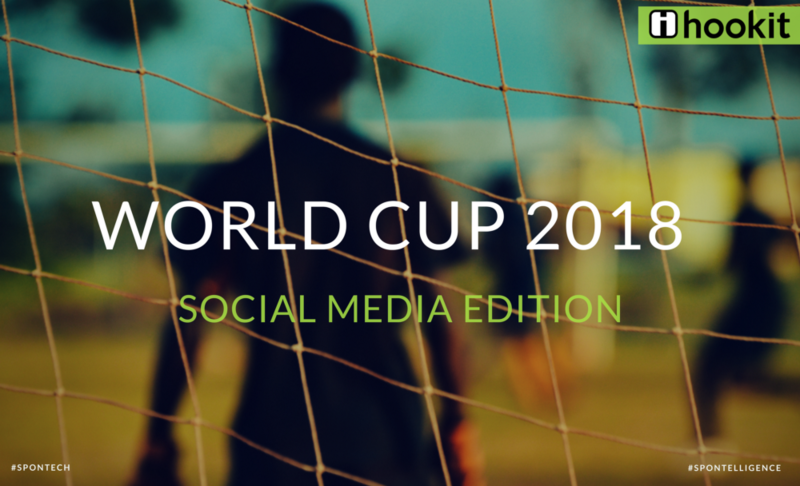 But which brands will get the best social media ROI from the tournament? 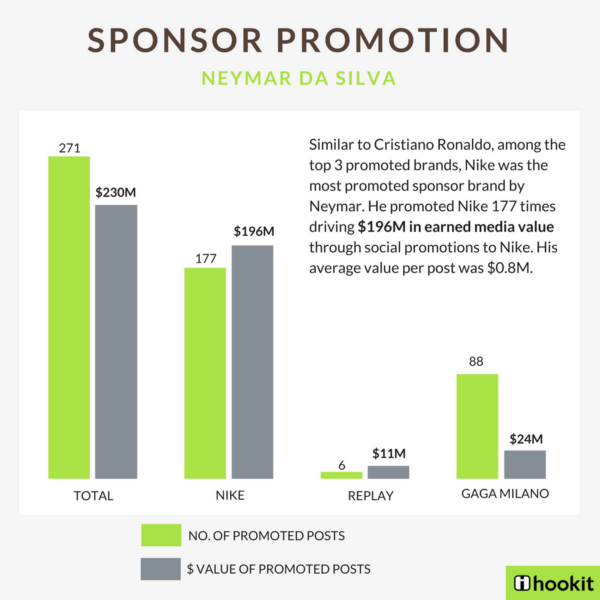 With the rise of social and digital media as an essential part of any sporting event, here’s a look at how the official sponsor brands, kit sponsors, teams and athletes have performed on social media leading up to the FIFA World Cup 2018. Time range for data considered is the past 180 days leading into the World Cup. The FIFA World Cup 2018 has 12 official sponsors with Coca-Cola, Adidas, Hyundai-Kia, Budweiser and Visa returning again after the 2014 World Cup. Coca-Cola has been associated with the World Cup the longest; it’s association started with the 1982 World Cup and continues until today. With 530 million interactions across its social channels within the last year, Coca-Cola is also the sponsor with the highest interactions, leading into the World Cup. Coca-Cola has 4 times more social media interactions than kit manufacturer Adidas, who is at a distant second with 123 million social interactions. New official sponsor Qatar Airways rounds out the top 3 with 91 million social interactions across its social channels. Among the 32 nations competing in the World Cup, kits are sponsored by eight different clothing brands — Adidas, Nike, Puma, New Balance, Erreà, Hummel, Uhlsport and Umbro. Along with being an official sponsor of the FIFA World Cup 2018, Adidas also sponsors 12 national teams competing in the World Cup 2018, which includes defending champions Germany. Nike sponsors kits for 10 national teams, followed by Puma sponsoring 4 teams and New Balance sponsoring 2 teams. 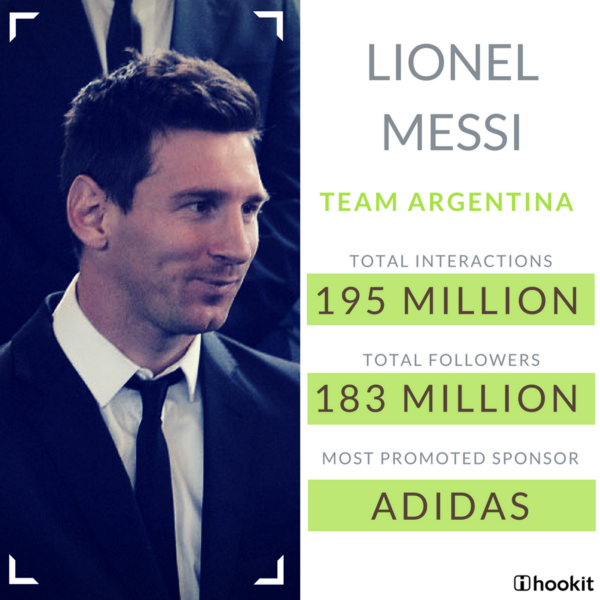 With 2 million interactions across its social channels, Team Mexico drove the most engagements for their kit sponsor, Adidas. 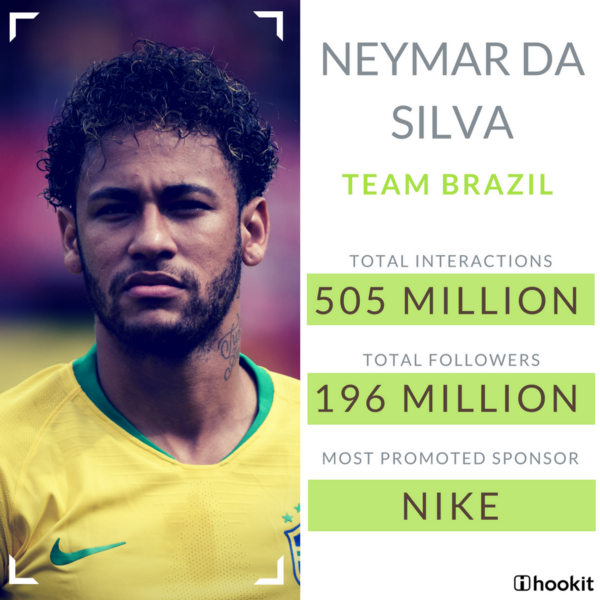 Team Brazil sponsored by Nike was second with 1 million interactions. Team Germany rounds up the top three with 663k interactions for Adidas. When all competing teams are considered, National Teams posted the most about Adidas, driving 2 times more social interactions than posts about Nike. Among the best soccer players who will play at the 2018 World Cup, Cristiano Ronaldo, Lionel Messi and Neymar da Silva are undoubtedly the three biggest stars. Messi and Ronaldo are widely touted to be the best soccer players of this generation, winning the prestigious Ballon d’Or 5 times each and rising star Neymar da Silva of Brazil is not far behind. These three global football icons also have the highest number of followers on social media and are consistently among the top players by social media interactions every month, driving the most social media ROI for their partners. After winning the Euro 2016 in France, Team Portugal will be looking to win the World Cup for the first time this year. This is star player Cristiano Ronaldo’s fourth World Cup with Team Portugal and he is expected to be a dominant presence on the field as he is on social media. 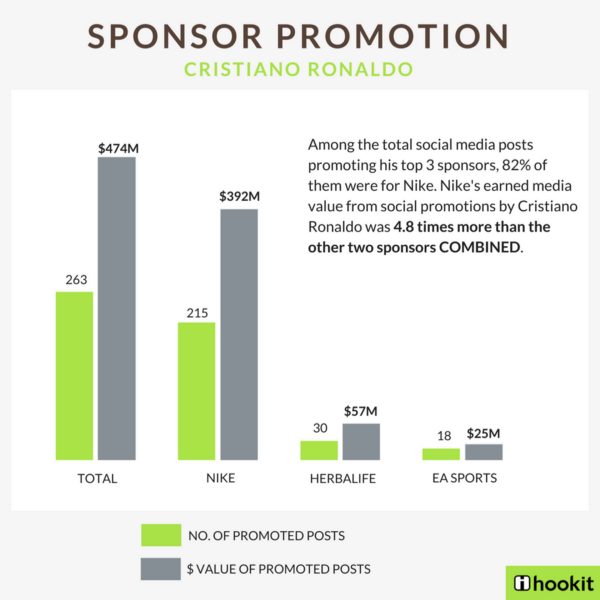 Cristiano Ronaldo also leads in the value he generated for his sponsors on social media — he generated a total value of $474M from his 263 promoted posts for just 3 of his sponsors. Nike, with whom he has a lifetime deal was promoted 215 times on his social channels with an earned media value of $392M. All eyes will be on star player Neymar, to see if he can help 5 time World Cup champions Brazil lift the World Cup for the sixth time. In 2016, Neymar scored the winning goal to cinch the first ever gold medal for Brazil at the Rio Olympics, further catapulting him to international fame. He is also immensely popular on social media, with the second largest number of followers among athletes behind Cristiano Ronaldo. Widely considered one of the best soccer players of this generation, the 2018 World Cup will be Lionel Messi’s fourth foray in the international tournament. After his unremarkable World Cup debut in 2006, Messi led Argentina to the finals in 2014, where they lost to Germany. However, Messi continues to be a force on the field and Argentina will look to win the World Cup for the third time. With 179 million followers across his social channels, Lionel Messi has the third highest number of social media followers among athletes — and he does not have a Twitter account. With 82 million interactions across its social channels, Team France had the highest number of engagements among the participating teams. Team Portugal was a close second with 79 million interactions, followed by Team Poland with 65 million interactions. Team Mexico was the most active on its social media channels with 5817 posts followed by Team Uruguay with 4638 posts. 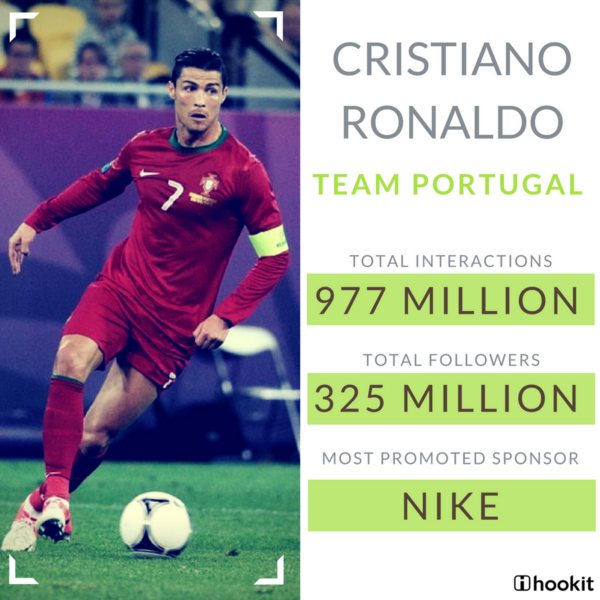 Cristiano Ronaldo leads in not just total social interactions and followers, but also drives the most value per post — his promoted posts about sponsor brands drove an average of $1.8M per post. In comparison, Messi drove an average of $1.2M per post while Neymar drove $0.8M. These three social media power players have driven a COMBINED earned media value of nearly $700M for their kit sponsors Nike and Adidas. Twitter was the social media platform of choice for the sponsor brands (official & kit sponsors combined), followed by Facebook & Instagram. A whopping 95% of total posts were made on Twitter, but it drove only 0.1% of total social interactions. 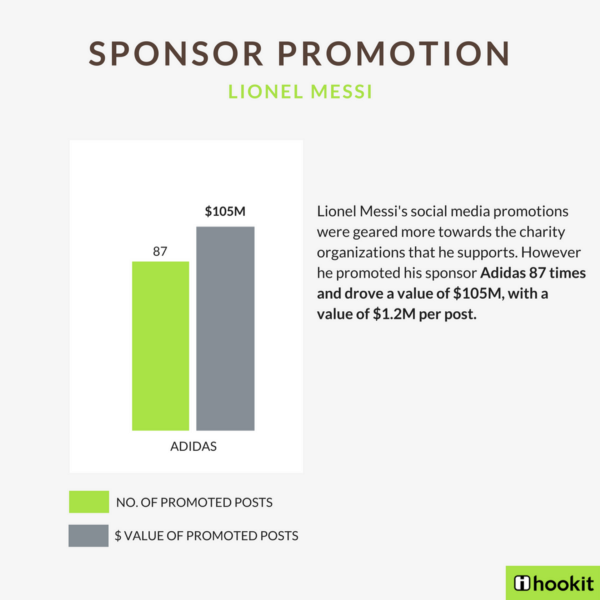 However, the 1% of posts made on YouTube drove more than 71% of total social media engagement for the official sponsors. Who do you think will win the World Cup this year? Sound off in the comments below!